Join the best climbing community in NYC. Learn the knots + belay skills. Includes rental gear + climbing after your class. Your rock home on our home rock. Come here to cross paths with a cross section of the funnest, kindest + most vibrant people (and dogs!) in NYC. 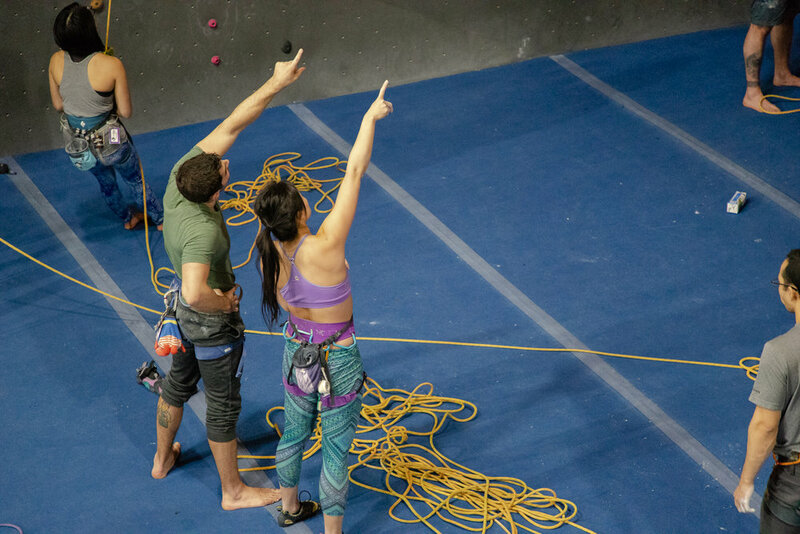 An extensive selection of classes covers everything from basic climbing and rope skills to tackling the real deal with building anchors + more. From your first chalk bag to your first trad rack, we’ve got everything you need (and some things you just want) to climb indoors and out. Our claim to fame is the biggest climbing shoe selection in NYC. 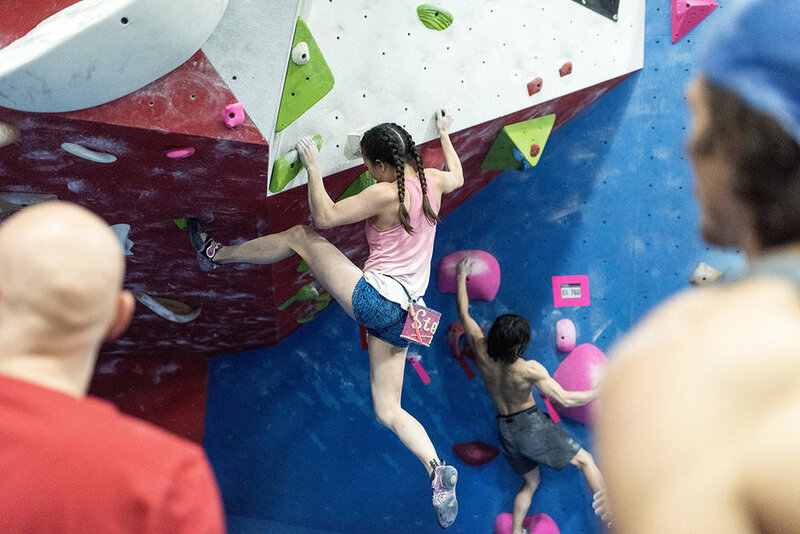 A movement-focused style of climbing. No experience, rope, or partner required. The biggest challenge is not getting hooked. Check out our Intro to Bouldering class to get an intro. Hundreds of towering routes set for every style + level. Belay skills required. Take Intro to Climbing to get them (everyone welcome; no prerequisites). Belay tests required for experienced climbers who are new to The Cliffs.